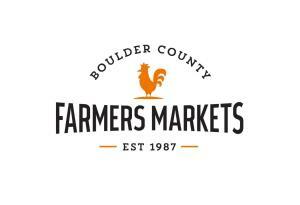 The Saturday Farmers Market opens at 8am. Serious foodies and local chef's shop early to get the best selection, especially during the summer when the leafy vegetables, corn and Colorado-grown fruits arrive. The outdoor food court is a popular meeting place for breakfast and lunch. The combination of freshly brewed coffee, baked goods and a variety of prepared foods by local chefs — together with live music and shaded seating — provide a place to relax and meet up with friends before or after shopping at the market. Market vendors stop selling at 2pm sharp, except in the food court, which continues serving until 2:30 p.m.
As if this wasn't enough reason to visit the Boulder Farmers Market, a fine arts and crafts fair featuring 25 jury-selected artists and artisans is held one Saturday each month in Central Park adjoining the farmers' market. This highly competitive market attracts some of Colorado's best artists and crafts people. It's the perfect place to find that unique gift or memento of your visit to Boulder.